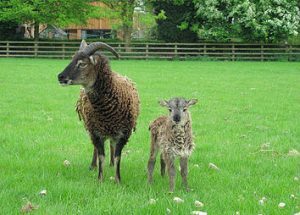 Soay are unlike any other sheep, being the most primitive with very varied characteristics plus a history that evokes a romanticism back to the Bronze Age. 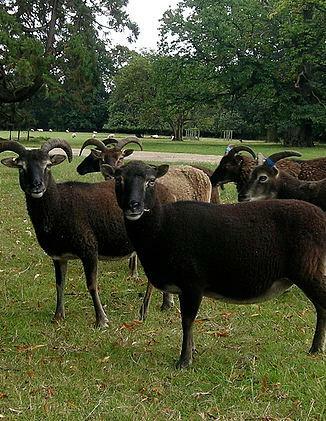 They are similar to the mouflon seen wild in Corsica, Sardinia and Cyprus. How did they arrive at the St. Kilda islands and when? No one really knows. But what we do know is that when owners talk of them they talk of intelligent, nimble animals with excellent mothering habits, always with quirky behavioural traits and lots of fun to watch. 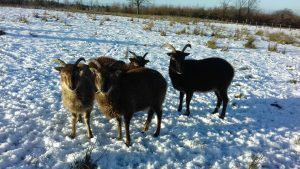 They are excellent conservation grazers, being content in woodland and on hillsides. 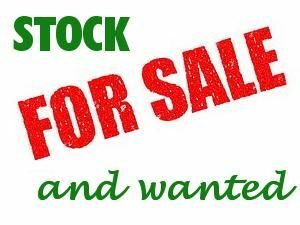 The coloured fleece is sought after for many craft uses and their carcass produces lean meat of a delicious flavour fetching premium prices for the gourmet trade. Soay sheep are fine-boned and late maturing, with prominent withers. The tail is short and thin. 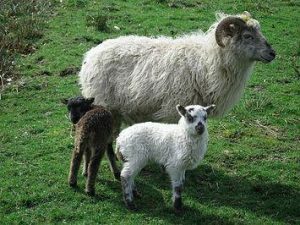 The texture of their wool can vary, from soft fine wool to more coarse hairy fibres (or “kemps”), and mixtures in-between. The fleece is, normally, shed naturally. Rams are two-horned and the horns are strong. 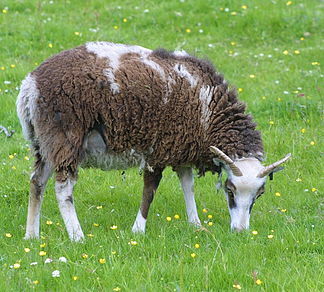 Scurred rams have been observed on Hirta, and occur occasionally in sheep owners’ flocks. Ewes are either two-horned, polled, or scurred.